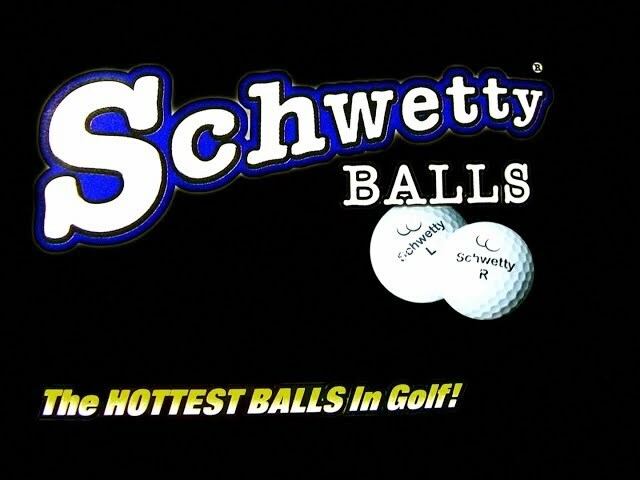 Schwetty Balls Golf Balls has been added to your shopping cart! Neat Gifts and Schwetty Balls Golf Balls at Perpetual Kid. Any golfer knows they play better with Schwetty Balls! Any golfer knows they play better with Schwetty Balls! Seriously, it's worth getting a box just so a golfer can say, "I'm playing with Schwetty Balls!" Surprisingly, these golf balls perform very well and many customers use them on a regular basis. Each set of our Schwetty Balls comes in a two pack, each ball labeled "left" or "right" so you know. Everyone will want to touch, feel, or hold your Schwetty Balls once they see them. They make a great gift to golfers, but also a great gift from golfers so people can start playing with their own Schwetty Balls. A perfect gift for humor and fun, on and off the course! They're the H O T T E S T balls in golf! It's the perfect feel in a titanium ball. Hurry and get your hands on a set of Schwetty Balls! Conforms with U.S.G.A and R & A Rules. 1 pair set of two balls in each pack. The hottest balls in golf!